Sheila Blackburn has just been interviewed by Ink Pantry. Read Sheila’s interview here. Stewie Scraps is an unlikely hero. He doesn’t do sport. He hasn’t got any time for sums or things like that, but he is great at making things. 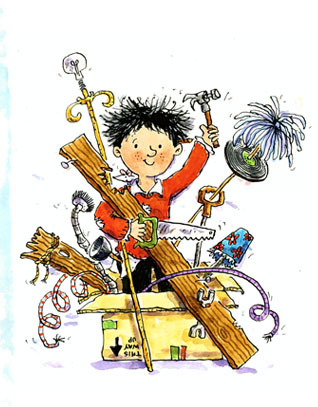 Children will love Stewie’s amazing technological creations – all made from bits and bobs from his dad’s junk shop. 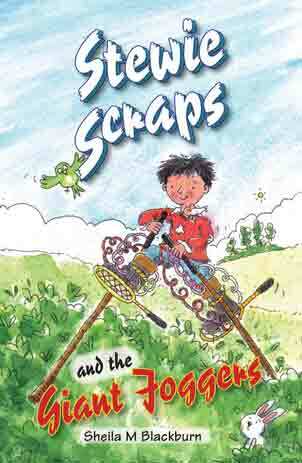 Stewie Scraps is a very likeable character and this series of six adventure stories will appeal to all readers of both sexes. The gripping storylines and simple language make them particularly suitable for use with reluctant readers. Sam’s Football Stories are specially written to stimulate and motivate your slower learners and reluctant readers. The books will appeal particularly to reluctant boy readers. The 12 compelling stories tell the story of Sam, a football crazy boy. Ink Pantry Publishing evolved from a social media group of creative writing students from The Open University who wanted to create an inspiring and supportive platform for new writers. Sheila Blackburn launches new website! 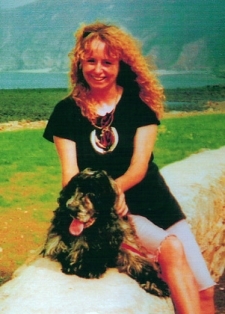 Sheila Blackburn, the author of the Stewie Scraps and Sam’s Football Stories books, has just launched her new website. Please have a look! Stewie Scraps has always been one of my favourite characters. Stewie doesn’t do sport. He hasn’t got any time for sums or things like that, but he does like technology; designing and making stuff using the scrap in his dad’s junk shop. Sam, on the other hand, is football mad! Follow his adventures as he joins a football team and starts to enter matches! Both series appeal to readers of all ages, but they are particularly good for use with reluctant readers, especially boys. Want to live longer? Read a book! Book readers live two years longer (on average) than non-book readers, according to an article published in the Social Science and Medicine Journal. The survey of more than 3500 people found that the more that people read, the longer they live, but that as little as 30 minutes a day was still beneficial in terms of survival. 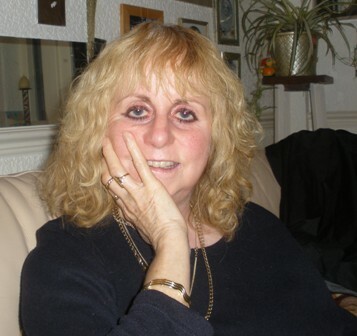 Sheila Blackburn will be reading some of her Stewie Scraps books at Crewe Library on 11 July, as part of the trAction Crewe Festival. 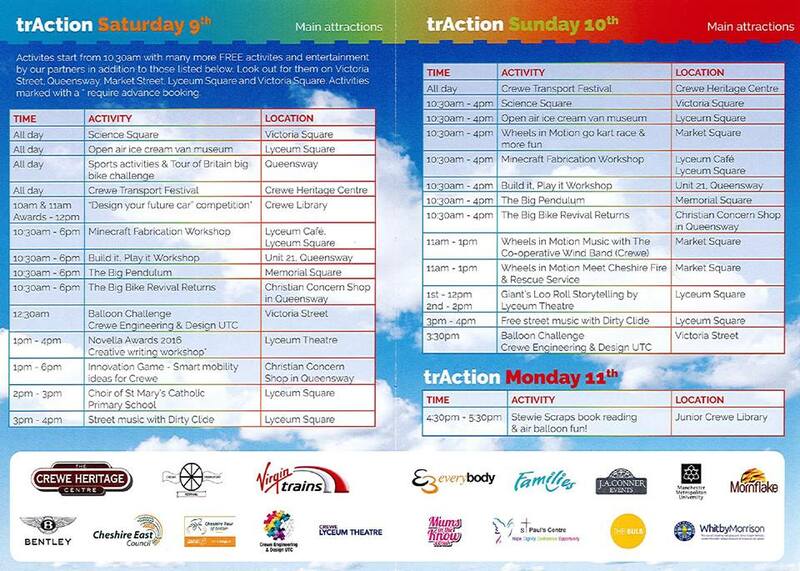 TrAction Crewe is a three-day fun event to celebrate Crewe’s role in railways, science and engineering. In addition to Sheila’s session, there will be many free activities for all the family including science, sports, children’s competitions, games and exhibitions. As Stewie Scrap’s inventions are pretty amazing, listening to his stories is a perfect way to end to the technology-themed festival. So why not pop along to the library and learn about his space racer, star rocket or giant joggers! The World Cup – you know you can’t ignore it, so embrace it instead. Did you know Storytelling Week runs from 1st Feb to 8th Feb this year? What’s the most effective way to encourage boys to read? According to a report issued in July 2012 from the National Literacy Trust, boys are underachieving in reading. In fact an estimated 60,000 boys are not reaching the required levels of reading by the age of 11.